K.C. 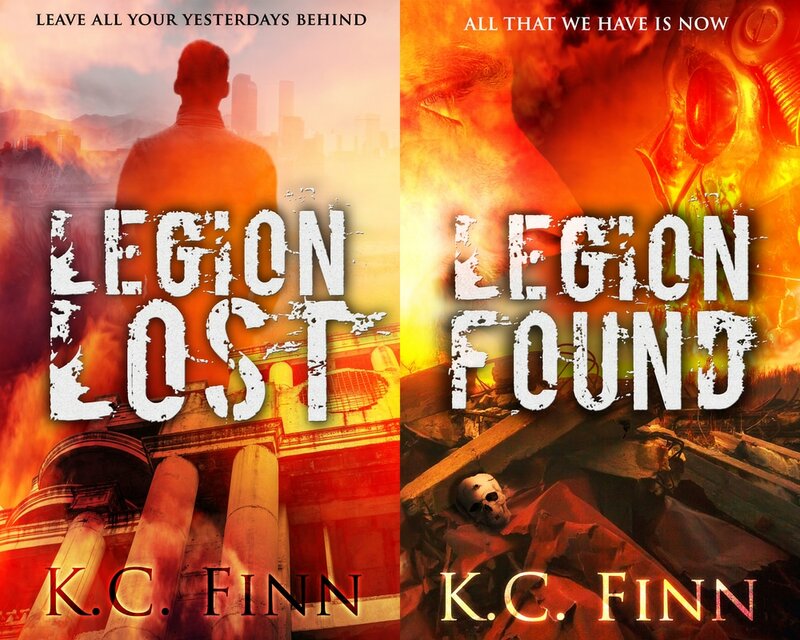 Finn is the author of more than 25 novels in just five years in the writing business. She is multi-award-winning, having received the coveted Chanticleer Best Gothic Fiction 2016 award for her novel The Book Of Shade, a 78,000-word fantasy novel that took just 16 days to pen. She has also received accolades from the RONÉ Awards for Best YA Paranormal Fiction 2015 (The Mind’s Eye, 2nd Place) and The Readers’ Favorite Award for Best YA Science Fiction book of 2016 (Legion Lost, Commended Finalist) and was a semi-finalist for Best YA Book of The Year in the Dante Rossetti Prize 2017. This year she adds to her trophy cabinet with another nomination for The Book Of Shade (Topshelf Book Awards 2018) and was recently listed in the USA Today Bestseller chart as part of the Royal and Reckless collection. In the world of horror fiction, she has shared the charts with the likes of Stephen King and Dean Koontz for her worldwide best-selling story collection Sinister Sentiments, and she's currently topping the science fiction UK and Australian Amazon charts alongside Suzanne Collins and Margaret Attwood. As an independent and small press author, K.C. proves that you can be successful in a very short amount of time without compromising on the kind of stories you wish to deliver. Her master’s degree in Linguistics and Education makes her the perfect tutor to impart wisdom on the craft of writing itself while also offering first-hand experience on what works and what doesn’t in the world of marketing. If you value such real experiences and have what it takes to work hard in the writing industry, K.C.’s teachings will take you far. As a highly qualified educator, there are many ways to learn from K.C. about the craft of writing, the world of freelance work and marketing success. Follow the button below to access free and paid courses, downloadable teaching materials and consultation packages. Have your bespoke ebook and paperback covers designed for as little as $70 USD. Personalized service, no templates, 100% original creations made for you.